Smoke and Mirrors: Sinkholes and the Caverns that Lurk Beneath the Surface. Sinkholes and the Caverns that Lurk Beneath the Surface. 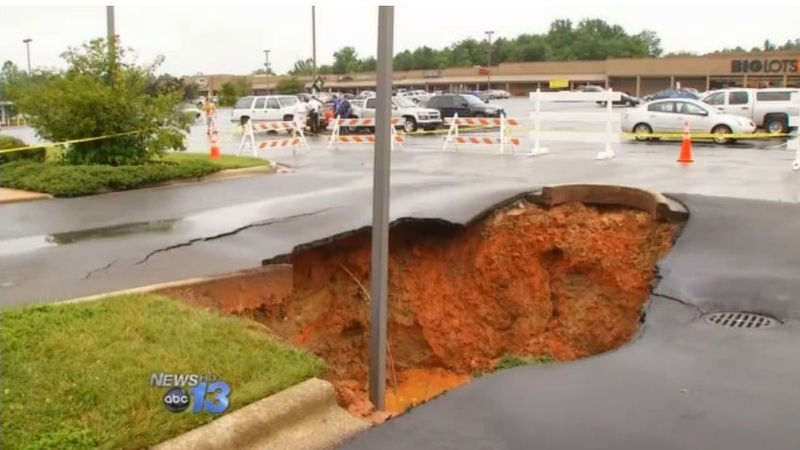 Across the United States, and the world at large, there are reports of sinkholes every day. Moreover, ponds and lakes are draining as if someone had pulled the plug of a full bathtub. 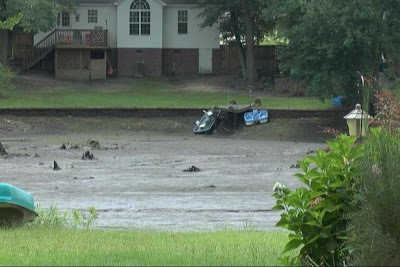 Most are due to sinkholes, but some "drainings" are not such as the pond-draining that took place in South Carolina this week. A pond in Blythewood, South Carolina is nothing more than a big mud hole. Why the water drained from the pond is a mystery. The water from a pond in Blythewood South Carolina mysteriously drains overnight, leaving a giant smelly six acre mud hole. Supposedly a wall holding the water gave way, but there is no explanation for the failure. Neighbors reached out to Richland County, DHEC, and the Army Corps. of Emergencies, but because the pond is located on private property, there is nothing anyone can do. Scott Lake in Florida disappeared overnight in 2006. 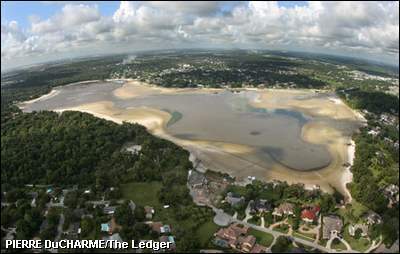 In 2006, two to four giant sinkholes swallowed natural, 291-acre Scott Lake in Lakeland, Flroida. The sand revealed by the exposed privately owned lake bottom was riddled with cracks. Under Florida state law, the Florida's Department of Environmental Protection owns the bottom of the lake, thus any fixes would've required its approval. 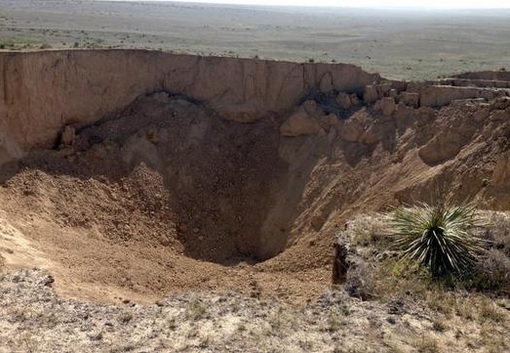 A massive sinkhole in western Kansas continues to grow. On August 2, a monster sinkhole, 200-300 feet wide and 90 feet deep, opened up overnight north of Sharon Springs in Kansas, and swallowed an entire pasture. Some people have let their curiosity overtake their caution and have hiked down into the cavity, but the sheriff warns that hiking into it is a bad idea because they don’t know what’s under it and if it will further collapse. 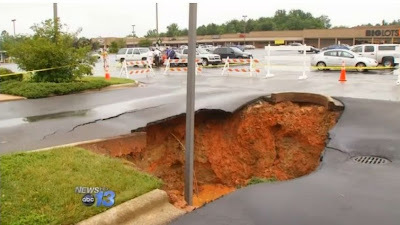 Expanding sinkholes, one 35 feet deep and the other 15 feet deep opened up in the parking lot of a shopping center in Weaverville, NC. For safety reasons, the Arby's there has closed shop. PNC Bank right next door has shut down it's drive-thru lanes, and down just a couple of hundred feet away, KFC's had a (35 foot) sinkhole for two months. KFC is still open for business. A California subdivision, Lakeside Heights, is being swallowed up by a massive sinkhole.